All this for FREE and just $2.99 each month for shipping and processing! 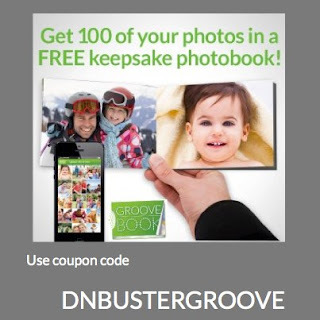 BUT When you order a Groovebook you can get it FREE~ use coupon code: DNBUSTERGROOVE to get your first book absolutely free (including shipping and processing)!!! How neat is that! 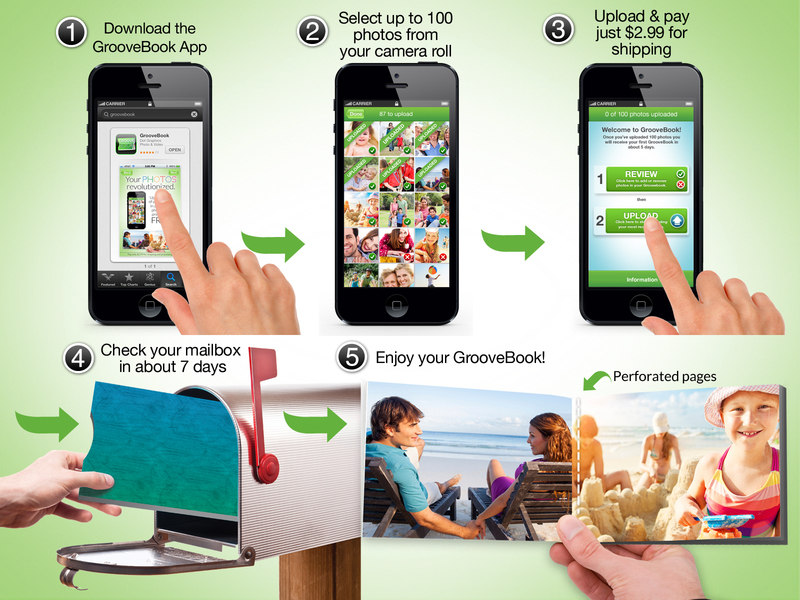 !simply download the GrooveBook app via the App Store, enter your info (don't forget the promo code!) and start uploading your photos! Your first book will arrive within 5 days after you complete your order! 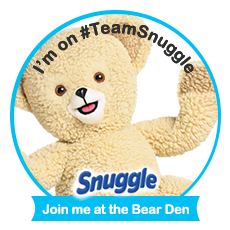 When you sign up you will have to enter your credit card to show that you are over 18 BUT you will not be charged! If you decide after your FREE book that you don't want to continue the service, it is real easy to cancel! Why would you want to ~ it is only $2.99 a month after your FREE photo book and you can get up to 100 photos a month! 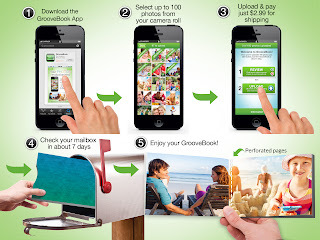 I hope you will download the GrooveBook App today(don't forget to use the coupon code)!! Its FREE and EASY! What a wonderful app to save those memories!! Unfortunately I don't have an iphone or any of the other devises this app will work on! But then I am not much of a picture taker. I wonder if my cousin has one of the devises--SHE takes lots of pictures and would probably LOVE this!! This would be great to do for our parents! We live so far from both my parent and my husband's parents that we don't get to see them often. This would be a nice way for them to watch the kids grow up and for us to stay connected. This looks like a great app. I will have to check it out..
Are you kidding? This is really cool! Thanks for letting us know about this! That is cool! I have an iphone and will have to check this out. I love playing with new apps.